Photo courtesy of Auberge du Soleil. Honeymoons, anniversaries, engagements, make-ups — there are plenty of reasons to be amorous. Find love in all the right places with this list of romantic destinations in the western United States. What's to Love: Wagon Wheel Room, an incredibly homey and imaginative villa that immediately transports you to another time. Red sandstone landscape panoramas. Masseuse on staff. Good to Know: Great short day-trip stopover if headed to Grand Canyon via Flagstaff. 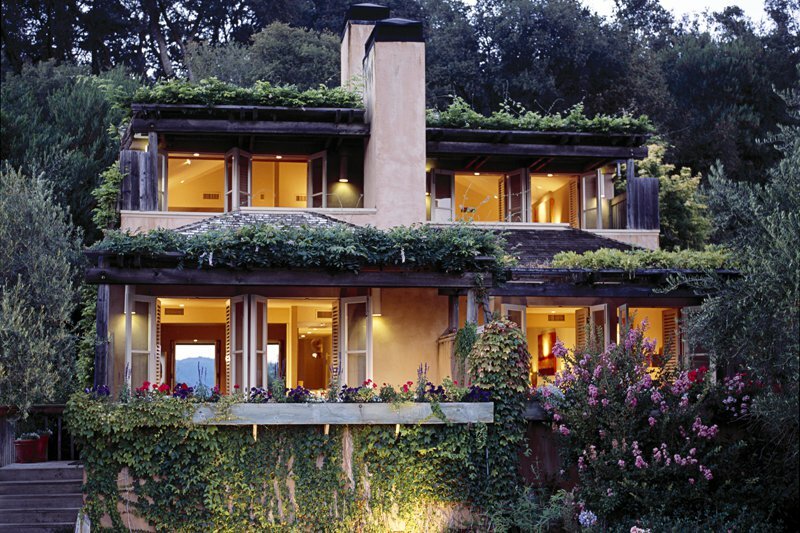 What's to Love: Built as if it grew out of the hillside with an unobstructed view of the Napa Valley. Quiet elegance, privacy, very peaceful. Good to Know: The service is immediate and understated. There's no reason to leave you thoughtfully stocked room, but you should for a magical dinner at the restaurant up the hill. Atmospherically, again, the intersection of nature and elegance. What's to Love: Romantic bungalows right out of Williams-Sonoma Home with incredible bedding. Fireplaces and wine. Just so, so much wine. Good to Know: Be sure to have a nibble at the Lakeside Lounge. It's only open to hotel guests, which, considering the clientele, turns it into a Napa version of Soho House. What's to Love: This is a modern design fanatic's dream come true: private villas in the middle of wine country. Good to Know: Return from a day at the vineyards to sip your purchases poolside. What's to Love: Tucked away in the backwoods of beautiful Sonoma, the dreamy hotel has a fireplace in every room, fluffy feather beds, and huge soaking tubs. In the lobby, there are different kinds of homemade bath salts and soaps to squirrel away, and they hand you warm chocolate chip cookies and cold milk when you check in. Good to Know: Rent a car. The Michelin-starred restaurant is amazing and there are several low-key wineries within a short drive. Take the on-site wine class taught by the restaurant's sommelier. What's To Love: The waterfront cabins, which actually sit in the water on stilts, are as eccentric as they are delightful. Go for Nicolina, a reclaimed 1930s boat, and dream of the ocean. Good To Know: The hills you'll gaze at across the water, Point Reyes Park, make for one of the most beautiful hikes in California. What's to Love: Cozy private cottages with secluded patios and outdoor showers. Breathtaking vineyard views at the infinity pool. Spa treatments take cues from wine country's harvest and terroir. Good to Know: The Boon Fly Cafe's hearty breakfasts and FARM's elegant Cali cuisine make it hard to leave the rolling property. 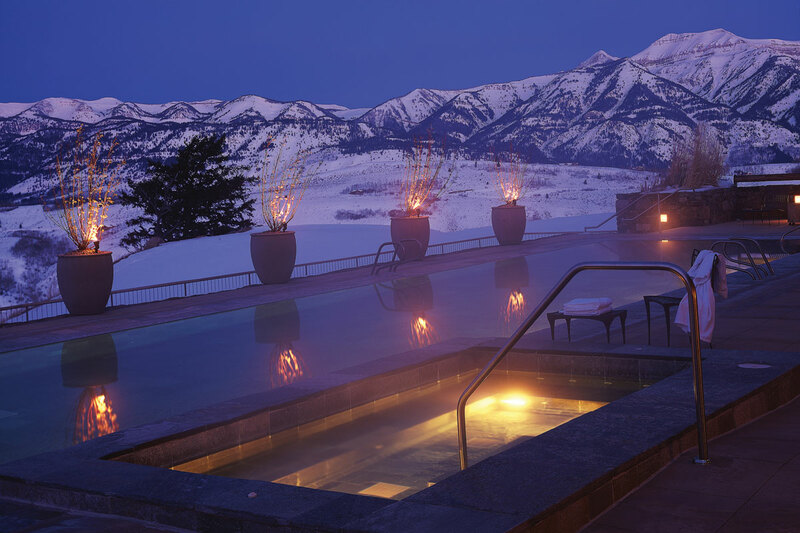 What's to Love: A nature lover's swoon spot. Luxury mid-century cabins, outdoor fire pits, fragrant Redwoods in absolute serene Big Sur beauty. Good to Know: Worth the splurge for the Big Sur Cabin to fall asleep to sounds of the river after a soak in the outdoor claw-foot soaking tubs. What's to Love: Everything — from the infinity pool overlooking the Pacific surrounded by Redwoods to the fact that they don't allow kids or visitors around the property. It's perfectly tranquil. Some ocean suites have their own hot tub sitting on the cliff. Oh, and no televisions. Good to Know: There's no need to leave the compound, but if you do, try Big Sur Bakery and Café for fresh pastries and breads as well as rock star pizzas. What's to Love: Old-school glamour, secluded bungalows, and the best chopped salad and fries in the world. Along with the occasional Reese Witherspoon sighting. Good to Know: It has just had a massive renovation, so it's very old-meets-new. What's to Love: Very small ex-motels (about ten and six rooms, respectively) done in perfect mid-century style (Hope is mid-century; Miracle is a bit more Zen). The natural hot springs are incredibly restorative, with beautiful mountain desert views that make for magical sunrise and sunsets. Interesting industry hipster types go there. Good to Know: No children under 14 allowed and allegedly clothing is optional at Miracle Manor . The best time to go is February; any later than April is scorching. What's to Love: Those huge bathtubs and comfy beds just spell romance. Plus cozy lobby bar and two good restaurants (one fancy, one casual). Good to Know: Northern-facing rooms have view of Santa Monica Pier and Ferris wheel. A five-minute walk puts you on Main Street, a trove of funky shops and good food. 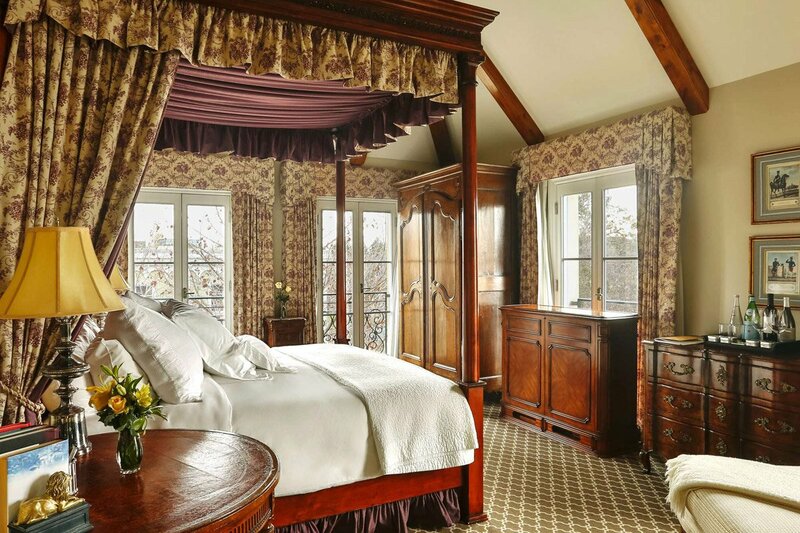 What's to Love: Lavish yet private yet warm and friendly B&B tucked into Mt. San Jacinto where Albert Einstein, Shirley Temple, and Clark Gable once frolicked (presumably not together). Good to Know: The O'Donnell House, a sister property up the hill used for weddings and events, affords some of the region's best views, as well as a stone-walled "grotto" that's oddly profound. What's to Love: Totally dreamy. (And totally pricey.) Rooms are buried within leafy foliage, producing a manicured jungle feel. Individual outdoor showers burst with orchids. Good to Know: The pond is meant for snorkeling, and swimming among jewel-colored creatures without fear of hungry sharks or rogue waves is a singular experience. Read More on Fathom: See our Hawaii Big Island itinerary for tips on what to do, eat, and see. What's to Love: One of the rare independent hotels on the island. The amazing beach is a private crescent of powdery sand lapped by calm turquoise water frequented by sea turtles. Good to Know: The staff, many of whom have been there forever, provide indispensable advice for exploring the island like an insider. 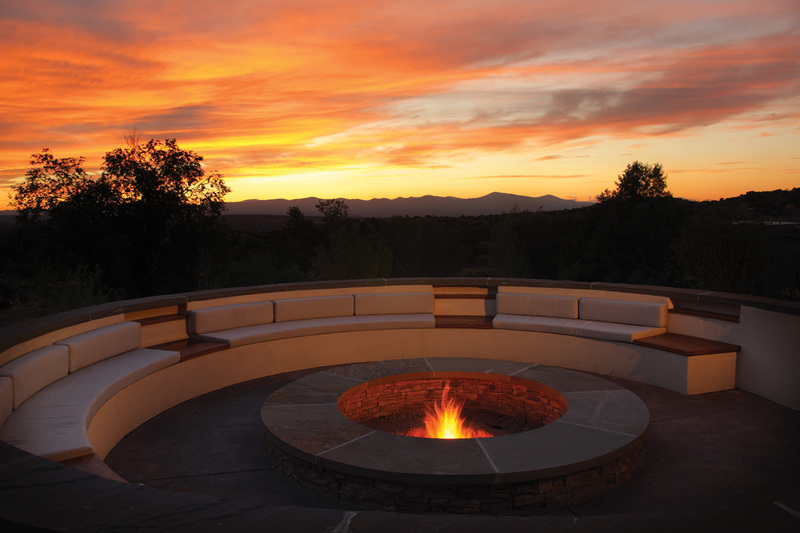 Photo courtesy of Four Seasons Resort Rancho Encantado Santa Fe. What's to Love: In a quintessential Pacific Northwest setting, cozy rooms and quaint activities (bocce! bike riding! puzzles!) offer ideal complements to renowned farm-and sea-fresh dining experience. Good to Know: Come for the food, stay for the views. Weather permitting, sit on the deck for the best sunset perch. Eyes drawn upward at Amangani. Photo courtesy of Aman Resorts. Contributors: Cassandra Barry, David Bernahl, Ingrid Bernstein, Becca Bergman Bull, Eve Epstein, Christina Ohly Evans, Emily Fiffer, Nikole Flores, Laura House, Justin Kazmark, Sally Horchow, Stephanie March, Carrie Molay, Lanee Neil, Karen Palmer, Margaret Spencer, Bridgette Thom, James Truman.